Jack Campbell - Winner - English Comedian of the Year 2014. Originating from rural Cambridgeshire, Jack now lives in Leicester and gigs all over the country. 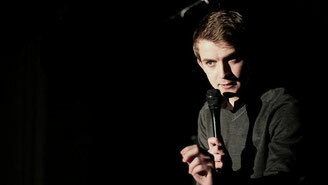 Winner of English Comedian of the Year 2014, Jack has even performed in Australia, Germany, Finland, Latvia and Estonia.